Three electronic-bus routes will soon be put into use in the HCM City centre, Phú Mỹ Hưng urban area and along Nhiêu Lộc – Thị Nghè Canal. 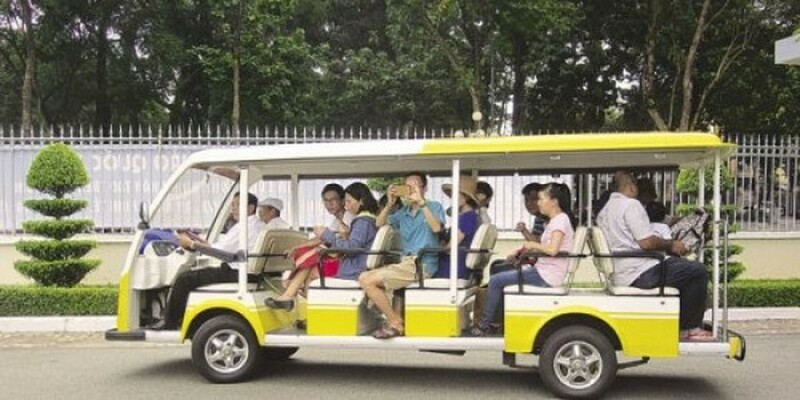 Nguyễn Thành Phong, chairman of the People’s Committee, has agreed with the Transport Department to pilot the project, using several 12-seat electronic buses on short-distance routes from 5am to 10pm, to serve local residents and tourists. The first route will operate in District 1, connecting Sep 23rd Park, Phạm Ngũ Lão, Công Trường Mê Linh and Hai Bà Trưng streets, and Sài Gòn Zoo. There are 11 electronic buses on this route. 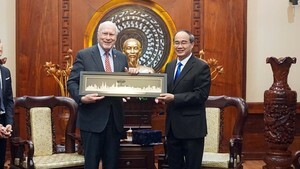 The second route, which consists of five buses, will run in the Phú Mỹ Hưng urban area in District 7. Buses will stop by Phạm Văn Nghị, Tân Phú, Hoàng Văn Thái and nearby streets. Three electronic buses will run along Nhiêu Lộc – Thị Nghè Canal, starting from District 1’s Đa Kao Ward and ending in District 3’s Ward 7. The Mai Linh Group, City View Real Estate Company and Sài Gòn Boat Company are responsible for operating the electronic-bus service. This is the first time HCM City has introduced the service. Electronic buses have been in use in big cities, including Hà Nội, Nha Trang, Huế and Đà Nẵng, for years.